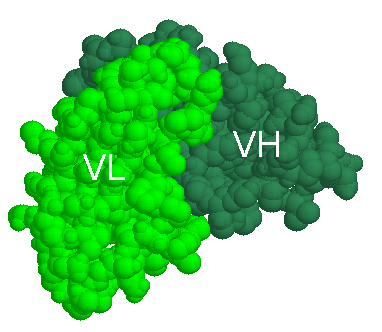 A Fv fragment corresponds to the two non-covalently associated VL and VH domains. 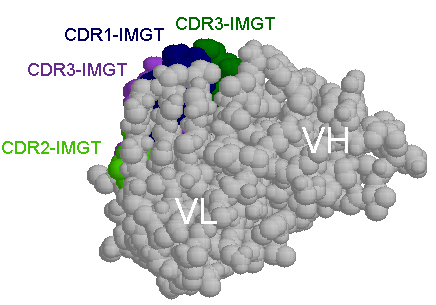 A Fv fragment with the CDR of VH and VL domains. Click here for see the CDR loops.